Most vinyl replacement windows look the same on the outside, but like other products, there are significant quality differences when comparing manufacturers. There is much more technology and testing that goes into each Centennial window than meets the eye. All of our custom manufactured replacement windows are ENERGY STAR® certified and backed by our No Fine Print Warranty, so your beautiful new windows are guaranteed to last a lifetime. 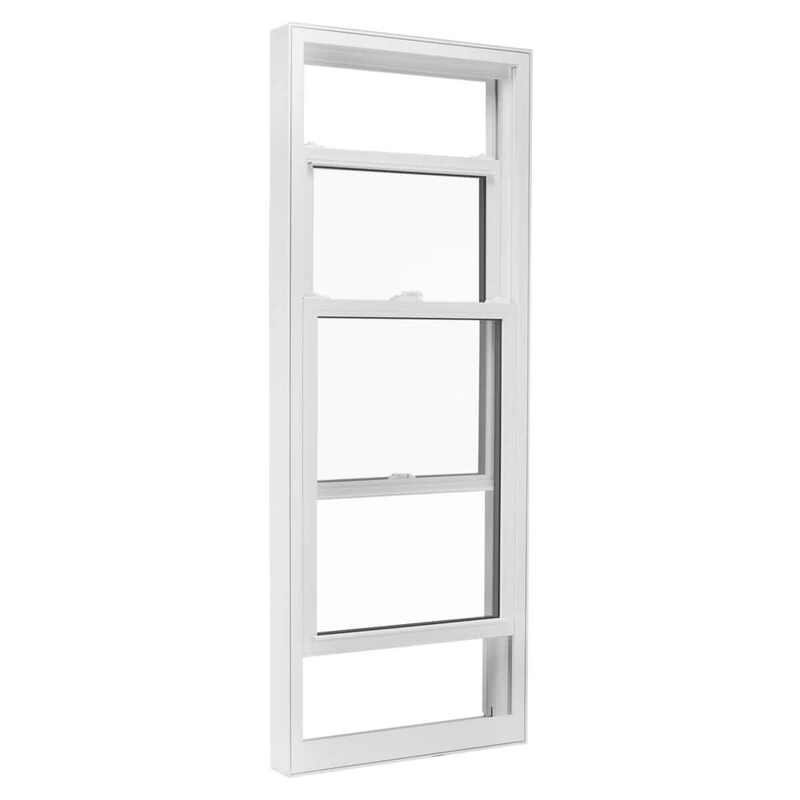 Every Centennial replacement window is custom manufactured with the highest quality materials and craftsmanship. Window styles can be combined to create bay, bow, or large feature windows. Choose from 26 standard exterior colours, four interior woodgrain coatings, and a variety of grill patterns. 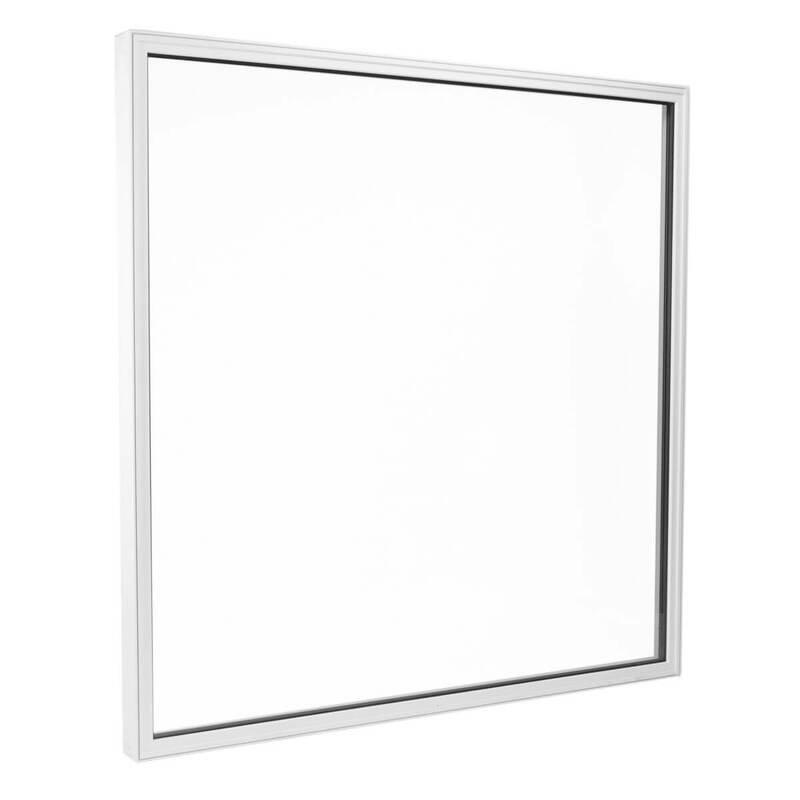 This easy-to-clean, classic style allows for open ventilation with almost weightless operation. This window style suits most areas of the home, letting in lots of natural light while remaining extremely energy efficient. 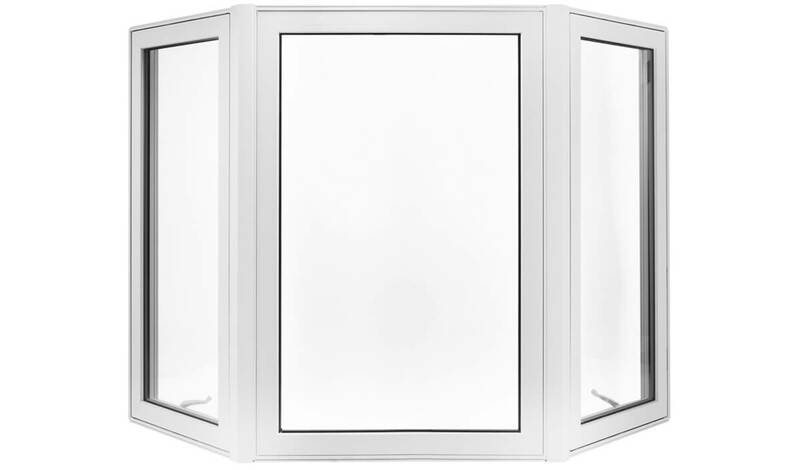 This lightweight window can be opened from either end and is most popular in bedrooms, bathrooms, and finished basements. 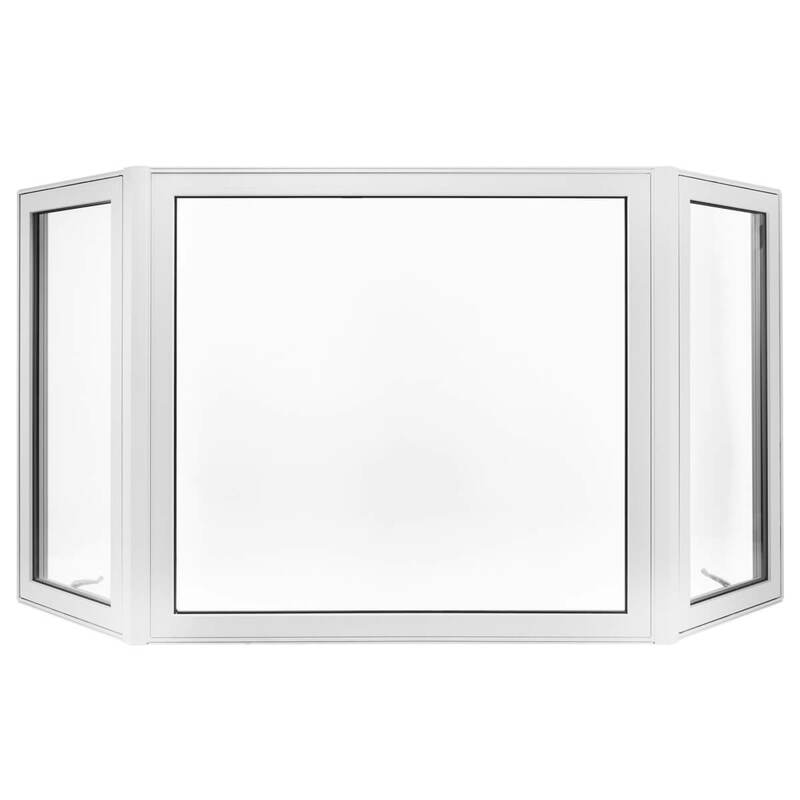 Attractive and contemporary, this easy to use window is perfect above the kitchen sink. This window offers lots of natural light, an unobstructed view, and is the most energy efficient type of window. Bay windows are popular for their aesthetic appeal. They provide a panoramic view and open up your living area. This window style provides a great view as well as flexible ventilation options. Bow windows bring a lot of natural light into your home and their curvature makes for an interesting and open living area. Not all vinyl replacement windows are the same, although many look the same. Take a closer look at some of the standard materials that should be used in any window you are considering for your home. These two products are used together as complementary spacers and seals, creating best-in-class sealed glass units. Super Spacer is a non-metallic, silicone rubber strip that separates the two pieces of glass in a double glazed sealed unit. Hot-melt butyl creates an impermeable seal, keeping the argon gas inside a sealed unit. Low-E glass is an invisible, metallic coating that lessens penetration of ultra-violet rays and dramatically reduces heating and cooling costs in homes by reflecting heat back into homes in the winter and out of homes in the summer. Centennial uses a hard-coat application technique; Low-E is applied when glass is at its molten state creating a much more durable product than coatings that are sprayed on after glass has cooled. All Centennial double-glazed windows are filled with argon gas and triple-glazed windows are filled with krypton gas. Both colourless gasses are heavier than air and improve the energy efficiency of windows by slowing heat transfer between the panes of glass. 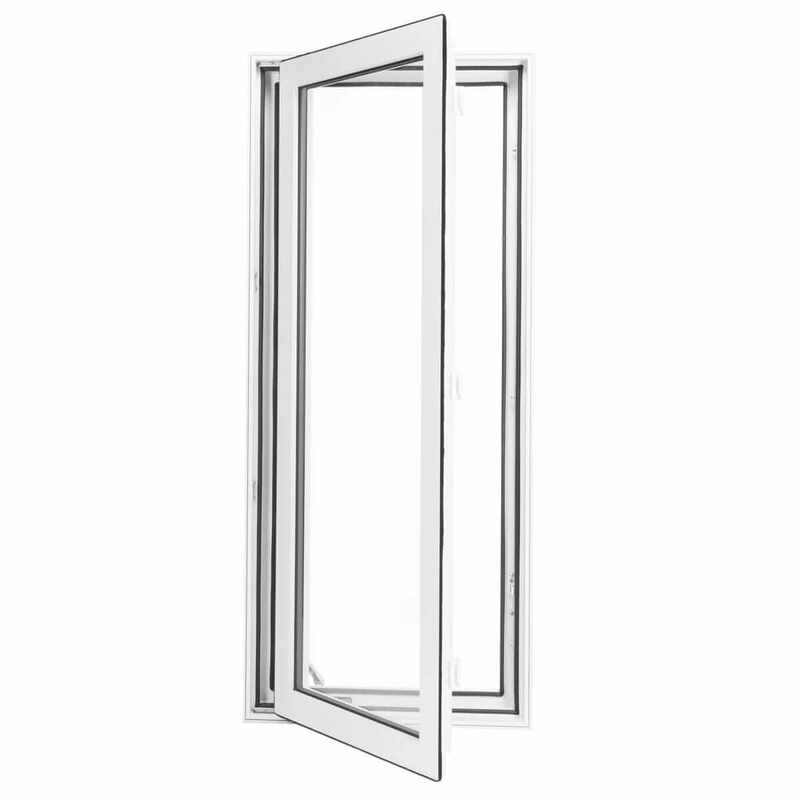 All corners of Centennial windows are fusion welded to increase strength and eliminate drafts, leaks, and corrosion. The process involves heating the vinyl to a semi-molten state and then clamping the two pieces of the joint together until they harden forming one solid piece. UPVC (Unplasticized Polyvinyl Chloride) is the premium vinyl available for window manufacturing and is the only vinyl used by Centennial. It will not bend, warp, fade, yellow, or go chalky, is virtually maintenance free, and dramatically improves window energy efficiency because of its low-conductive properties. Filling window frames and sashes with polyurethane foam (similar to the foam found in food coolers) improves heat insulation, sound insulation, and structural strength; your home will be warmer in the winter and cooler in the summer, quieter, and your windows will be more resistant to damage caused by your home settling and shifting. 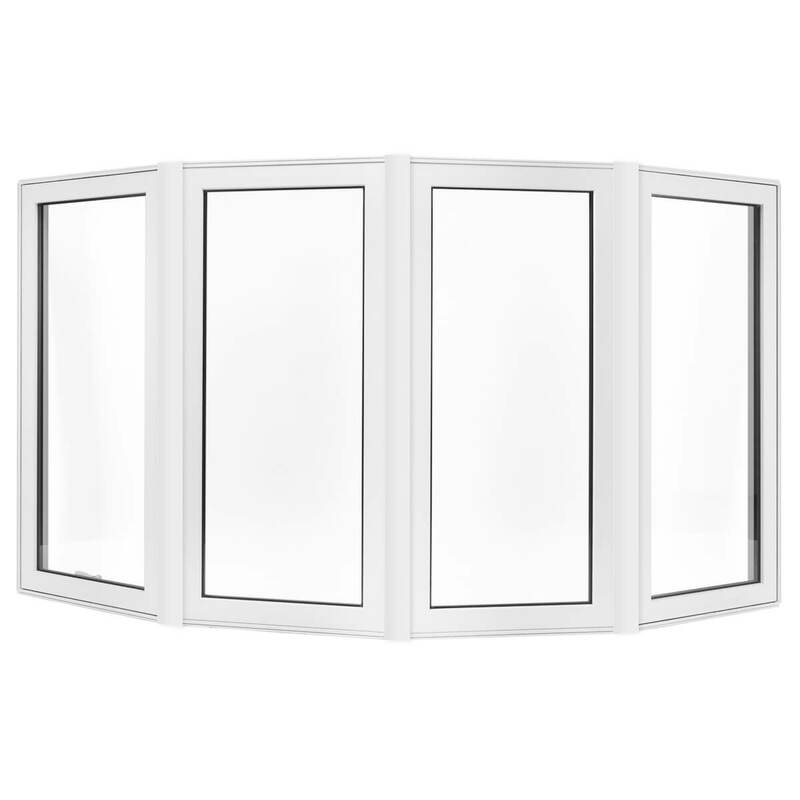 What’s the difference between triple and double pane windows? 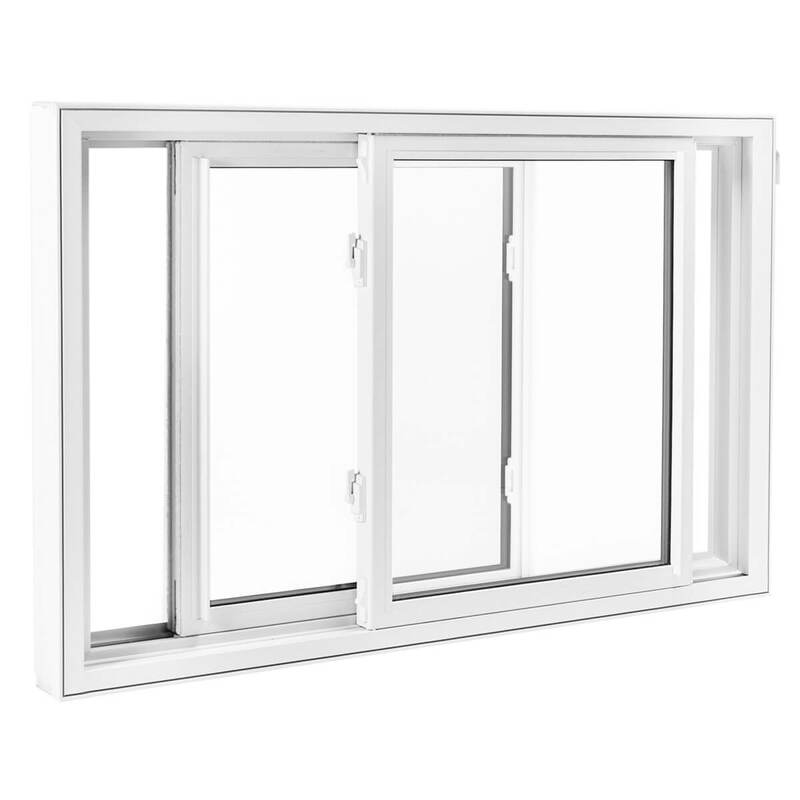 Put simply, double pane windows have two pieces of glass and triple pane windows have three. The other difference is which piece of glass (or surface) the low-e coating is on. 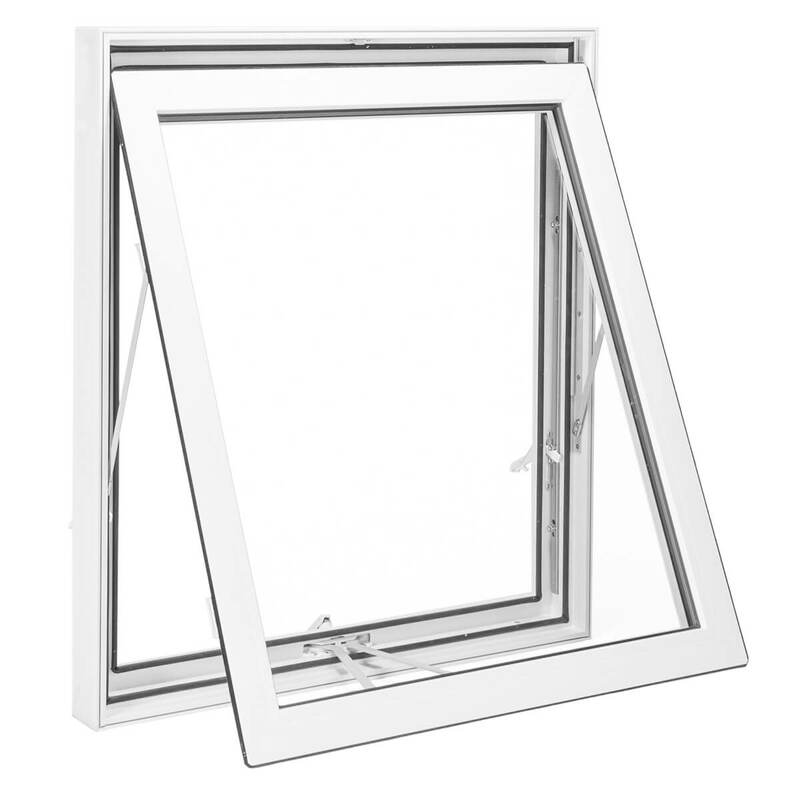 In Canada, double pane windows should have low-e coating on surface three and surface five for triple pane windows. In both cases, the coating should be on the surface inside the sealed unit and on the piece of glass closest to the inside of your home. I need to put egress windows in my basement. Is this something that you can do? Yes! 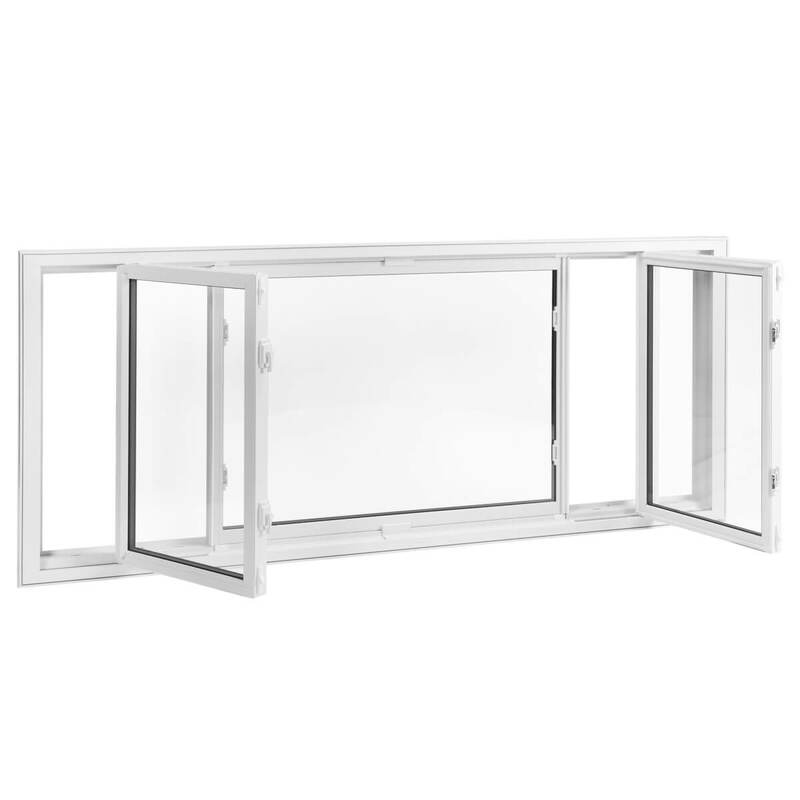 We can install egress windows, however there are a few factors to consider. First, do you need to make the current window openings bigger? If you do and you have a block foundation, we will most likely be able to install egress windows. If you have a poured concrete foundation, you will need to have the openings enlarged before we can provide and install the new, larger windows. When in doubt, book an in-home consultation with us and we’ll make the best recommendation for your specific situation. I have measurements of the windows and doors I need. Can I just get a price over the phone or if I come to your showroom? At Centennial, all products are custom manufactured for your home and we always include installation in the price — it’s how we can offer you our lifetime warranty. Because of that, we’re unable to provide pricing without visiting your home to inspect the openings and determine what is involved for installation. First, the team leader will spend a few minutes with you to review your order and explain their plan for your installation. While this happens, the other installer will start setting up their tools and supplies. Next, the team will start installing your windows or doors. When they are finished, the windows and doors will be cleaned, any debris and mess will be tidied and packed away into the installation trailer, and you will be shown the proper operation of your new windows or doors. Each home is unique and every order is different; the length of installation will depend on the number of products that are being installed and any obstacles that arise while we work at your home. During the in-home consultation, we will go through several options that will affect the price of your windows and doors. Options could be colour, grill pattern, finishes, hardware, and installation requirements. We recommend that all homeowners be present for the consultation as each may have his or her own preferences and we want to make sure that we are taking the opinions of all decision makers into consideration in order to provide the most accurate pricing possible. No. Centennial specializes in replacement vinyl windows as well as steel and fibreglass entry door systems. Unfortunately, Centennial windows are not designed for use as skylights. Skylights have a specific set of certification and installation requirements and, to avoid damage to your home, only products designed and rated for use as skylights should be installed in that application. Not at this time. Centennial windows and doors are designed and rated for residential applications and our installers are trained to work on residential buildings. If you are unsure if your project is residential or commercial, please give us a call at 1-800-265-1913 and we will be happy to discuss the details of your project and let you know if we will be able to do the work.